Hotel Le Grand is a property that will surely provide you a peaceful and delightful stay at a pocket-friendly price. The rooms are pretty and appealing as they have printed cushions, excellent wood work on the walls, lovely lamps, and large windows covered by neutral curtains. 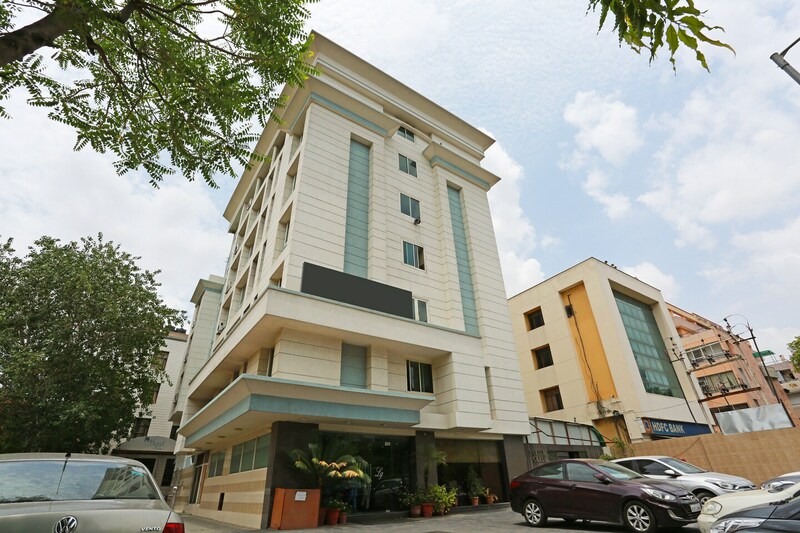 Furnished with essential amenities including mini fridge, the rooms are spacious, clean and well-lit. The hotel is equipped with many other facilities such as living room, parking facility, seating area, free Wi-Fi and in-house restaurant where delicious meals are served. Card payment is available for a hassle-free payment of your room booking. You can explore Jaipur and visit some nearby tourist attractions like Raj Mandir Cinema, Birla Auditorium and Central Park among others.